South American weather woes have been driving global oilseed markets, with traders closely watching soybean production in Argentina and Brazil. Prolonged hot and dry weather in Argentina has fuelled concerns yields would be negatively impacted, according to AHDB senior analyst Dr Amandeep Kaur Purewal. “While there are now forecasts of rain on the horizon, it remains to be seen whether this will be enough,” she added. There has also been heavy rain in Brazil. ODA consultant Rupert Somerscales said production downgrades and logistical difficulties getting inland supplies to ports had boosted US export prospects. “Chicago soybean futures have responded, with the nearby contract now trading above $10/bu; the first time this month,” he said. In Europe, currency movements had limited a subsequent rise in Paris rapeseed futures. “With the euro strengthening to more than a three-year high against the dollar recently, Paris rapeseed futures [May-18] have been hovering around the €350/tonne mark compared with an average of about €360/t in December,” Dr Purewal said. However, with the euro falling back from highs, Mr Somerscales said European rapeseed values had started to find support, with the EU needing to import rapeseed in volume. He said the UK was also continuing to follow overseas markets. 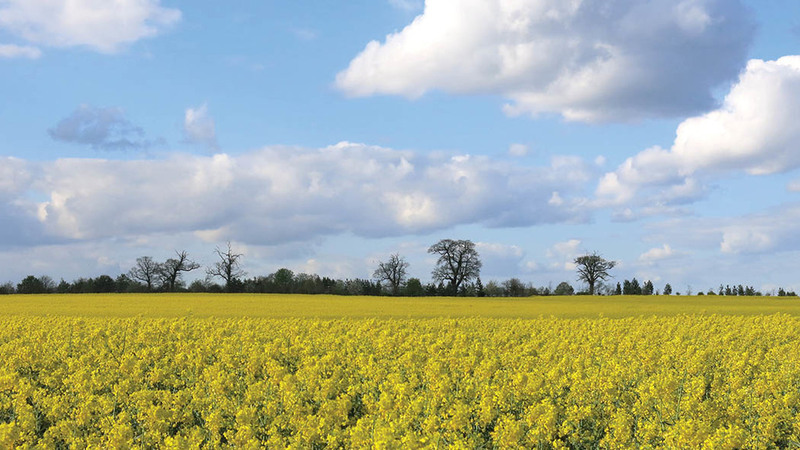 “While currently below the £300/t mark for most farmers, there are signs that, as with continental rapeseed prices, perhaps the steep falls seen in the last month are starting to be reversed," said Mr Somerscales.